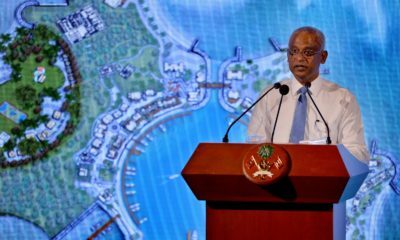 “In this press conference, President Nasheed and his lawyers will assess the political situation in the Maldives and highlight the human rights abuses still ongoing in a country most people associate with tropical paradise,” the former president’s international legal team said in a press statement today. In his first public comments since his imprisonment on a terrorism charge, former President Mohamed Nasheed is due to hold a press conference in London on Monday with his heavyweight international lawyers. The opposition leader flew to the UK last night after spending two days in Sri Lanka. Nasheed’s temporary release to undergo surgery in England was secured by a diplomatic lobbying effort led by India, Sri Lanka, UK, and the US. 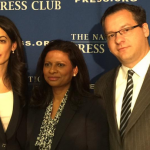 Nasheed will be joined at the press briefing by his international legal counsel Jared Genser, Amal Clooney, and Ben Emmerson, who had successfully petitioned a UN human rights panel last year to declare his 13-year jail sentence illegal and politically motivated. 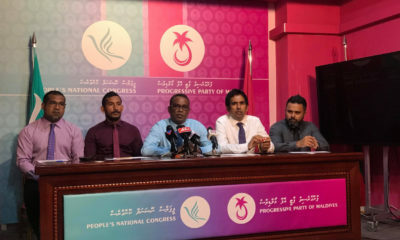 “In this press conference, President Nasheed and his lawyers will assess the political situation in the Maldives and highlight the human rights abuses still ongoing in a country most people associate with tropical paradise,” the international legal team said in a press statement today. 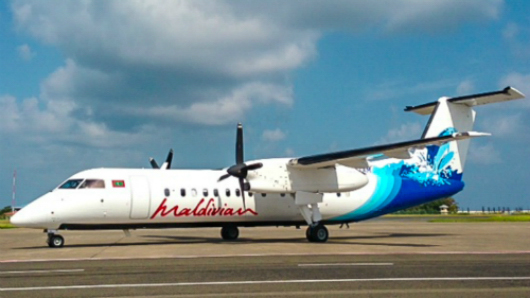 After previously denying permission for Nasheed to travel overseas and insisting that the surgery is available in the Maldives, the government’s sudden change of heart was prompted by “intense diplomatic pressure and under the looming threat of international sanctions,” the lawyers said. 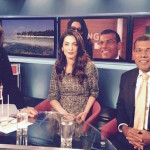 Genser, founder of the NGO Freedom Now, a renowned campaign group for political prisoners, and UK-based human rights lawyer Amal Clooney, wife of Hollywood actor George Clooney, have been lobbying the governments of the US and UK to impose targeted sanctions against top Maldivian officials to secure Nasheed’s release. 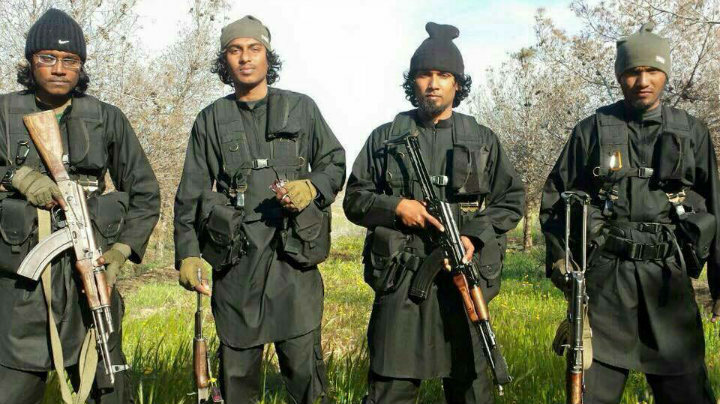 A confidential list of targets have been shared with both governments. In her first-ever interview with a US television network earlier this week, Clooney said she has won support from US lawmakers for the introduction of a congressional resolution calling for sanctions against regime officials. 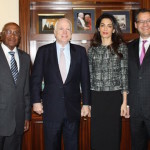 US Congressman Joseph Crowly, vice chair of the house Democratic caucus, issued a statement today noting that the situation in the Maldives has not changed substantially despite Nasheed’s temporary release. “This situation is far from over, and I will continue to closely monitor it moving forward. 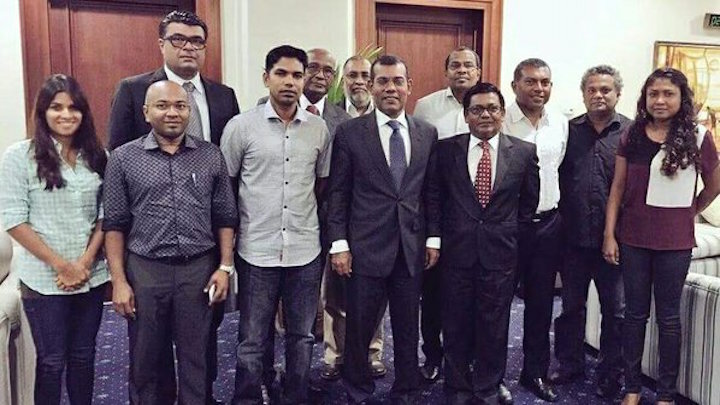 The fact remains, President Nasheed should have never been imprisoned like this in the first place,” he said. Top diplomats from the US, UK, and India – including US Secretary of State John Kerry – have hailed the government’s decision to authorise the medical leave as a sign of progress. 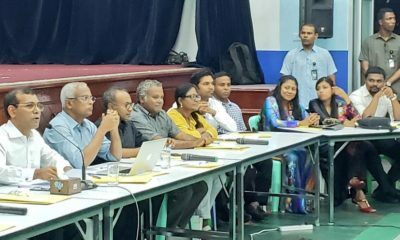 Nasheed’s Maldivian Democratic Party also welcomed the government’s decision, calling it a “first step” towards political reconciliation. Prior to his departure, Nasheed met with top diplomats from UK, Canada, Norway, Australia, Italy, Switzerland, Germany and the European Union in Colombo yesterday. He also met with jubilant supporters living in Sri Lanka. 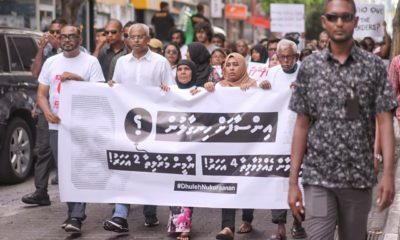 Sources said that Nasheed hoped that President Abdulla Yameen would “use the opportunity offered by his release” to initiate talks with the opposition. 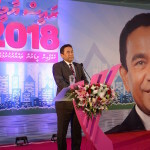 Yameen’s administration had remained defiant in the face of mounting diplomatic pressure and mass anti-government demonstrations last year, slamming alleged meddling in internal affairs by Western powers and insisting that Nasheed must exhaust the domestic appeal process. An appeal of Nasheed’s terrorism conviction is now before the Supreme Court. He was found guilty over the military’s detention of a judge during his tenure. 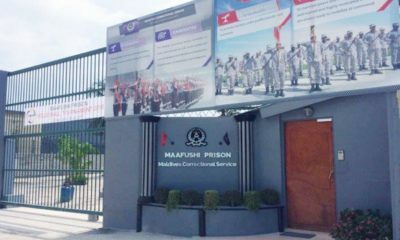 The deal for the opposition leader’s release – initially brokered by Sri Lanka – was nearly scuttled when the government insisted on a guarantor to remain in Malé until Nasheed’s return. 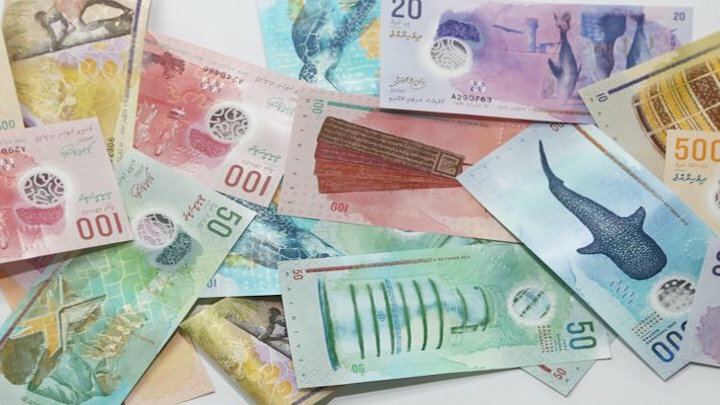 A compromise was eventually reached with the government agreeing to waive any criminal liability for the guarantor. Nasheed has signed an agreement promising to return after 30 days to serve the remainder of his sentence, the government has said. 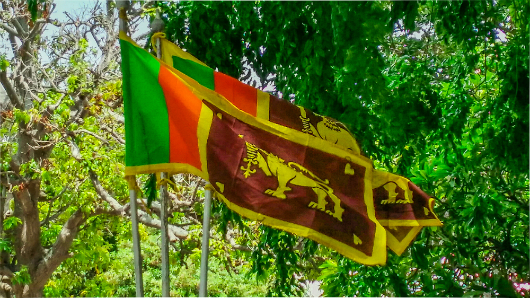 The government’s u-turn followed visits by the Indian foreign secretary and Sri Lankan foreign minister. Hugo Swire, UK Minister of State at the Foreign and Commonwealth Office, is also believed to have played a part during an official visit this week. Genser had suggested that Kerry may also have been involved in securing the former president’s release. He posted a photo of Nasheed on the phone with the secretary of state at the airport VIP lounge. 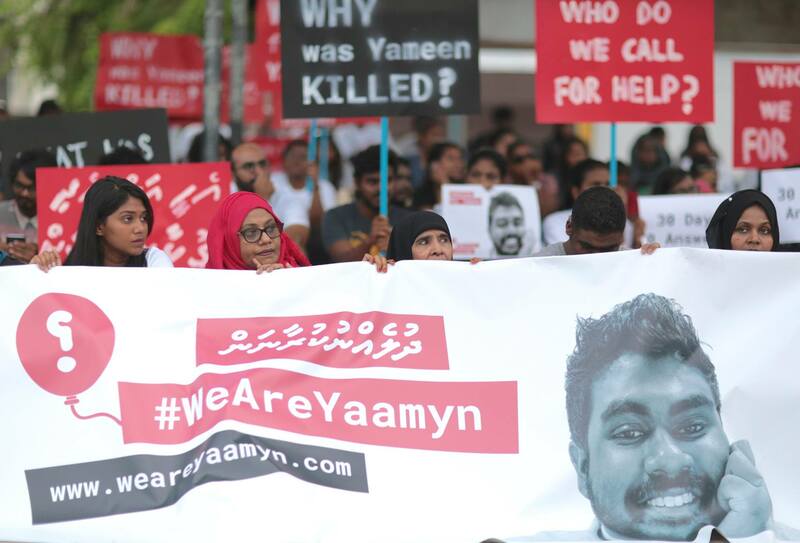 But Foreign Minister Dunya Maumoon insists that the government did not cave in to foreign pressure. 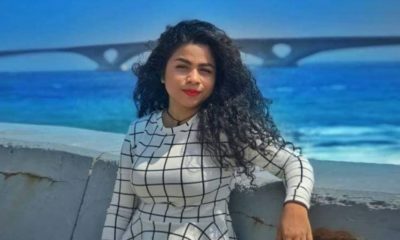 “The decision was initiated by the government, leave was granted to Nasheed considering his medical condition and especially since he is a former president,” she told the press on Tuesday. 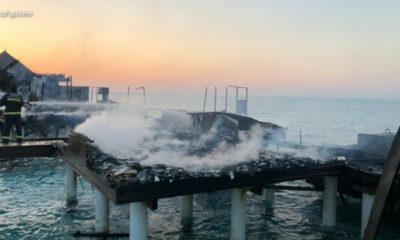 Additional writing and reporting by Ahmed Naish.